WOW! Check out this wonderful mural, spray painted in Norwich by Dave Nash (@GnasherMurals). Ricky Gervais himself says it's "amazing". The mural is located at the Anglia Square car park, New Botolph street in Norwich. 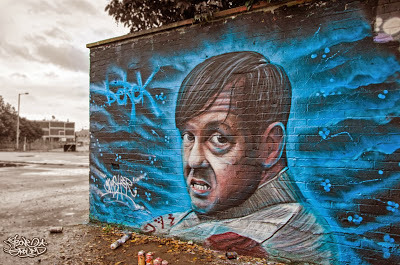 We'd love to see some pics of Derek fans at the mural. Tweet your pics to @GervaisFanArt or email them to GervaisFanArt@gmail.com.